Commercial auto insurance isn't something you should skimp on. Whether you own a fleet of company cars or just employ one or two people who use their vehicles while on the job, you need to know they're fully covered by a company you can trust. WSMT has your back. Commercial auto insurance is a type of insurance coverage specifically for companies whose employees drive vehicles (either company or personal vehicles) while on the job. The typical commercial auto insurance policy can cover physical damages caused by car wrecks, medical injury resulting from accidents caused while driving on the job, and damage caused to other people's vehicles or personal property. Business auto insurance is different from a personal auto insurance policy because commercial vehicles typically carry more unique risks. Commercial auto insurance can cover trucks, vans, cars, and trailers that belong to your business or to you or your employees; the type of vehicles you have and the type of service you provide will impact the risks you'll need to cover. It's easy to think of commercial auto insurance as the kind of investment that's really only necessary for larger companies with a fleet of company cars. 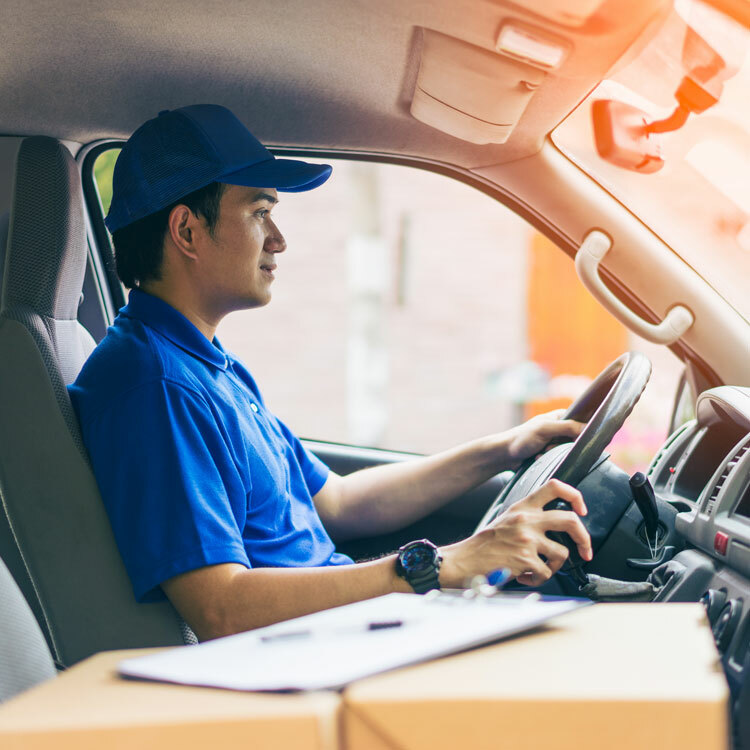 But if you or your employees drive any vehicle while on the job - whether making deliveries, driving to a job site, or picking up materials or supplies - you need commercial car insurance. Having the right coverage can protect your business from devastating expenses in case of an accident. How Much Does Commercial Car Insurance Cost? The price of a business car insurance policy will vary widely depending on the vehicles you need to insure, the type of business you and your employees will conduct while driving, and the amount of coverage you'd like to purchase. A WSMT agent can talk to you about your risks and concerns to make sure you have the coverage you need at a price that fits your company's budget. If you're not sure that your business insurance plan includes a thorough commercial car insurance policy, now is the time to find out. Contact WSMT today and we'll walk you through your commercial insurance options and needs - and add commercial auto insurance, if you need it. Our knowledgeable commercial insurance experts are here to help answer your questions, consider your insurance coverage options, and get you quotes for the commercial coverage you need. Don't put it off. Make sure your vehicles and your business's account books are protected by investing in the right commercial auto insurance policy today.